Showing 15 articles from November 15, 2016. Aberdeen students conduct a dress rehearsal of "The Sound of Music" on Nov. 9. Performances are scheduled for Friday through Sunday this weekend. Students with the Aberdeen School District began performances of "The Sound of Music" last weekend, and further performances are scheduled for this weekend on Nov. 18 and 19 at 7 p.m. and Nov. 20 at 2 p.m.
Coastal Harvest's Board of Directors is pleased to announce the appointment of Angela Burton as executive director, effective Nov. 2. Burton comes to Coastal Harvest with a unique background in distribution and business management. Burton is a Grays Harbor native and a graduate of Saint Martin's University, where she earned her Bachelor's in Business Administration with a double concentration in Management and Marketing. An online survey is available for those who were unable to attend the Nov. 3 community design charrette meeting with the Gateway Center architecture team to participate in the design process. If you or someone you know was unable to join the meeting at the Rotary Log Pavillion, please share this link and have your voice heard! These are the same questions asked at the charrette and are very important to informing the design process so that the building reflects the ideas of the community. As a reminder, the next community design meeting will be held on Dec. 1 from 6 p.m. to 8 p.m. at the Rotary Log Pavilion. Please try to share your feedback via this survey by then so that the architects are able to incorporate it into the next phase of the design process. Those with questions should send them to: info@graysharborgateway.com. Six years after the U.S. Drug Enforcement Administration (DEA) launched its National Prescription Drug Take Back Day, Americans continue to turn out in large numbers to rid their homes of unused medications, including controlled prescription drugs (CPDs) such as painkillers, tranquilizers, and stimulants. Meeting participants have their say on the design of the Gateway Center during an exercise on Nov. 3. Designers are currently seeking public input on the proposed center in order to put together a preliminary design in accord with the community\'s needs. Community members had an opportunity to provide input on the design of the proposed Gateway Center at a meeting held at the Rotary Log Pavilion in Aberdeen on Nov. 3. 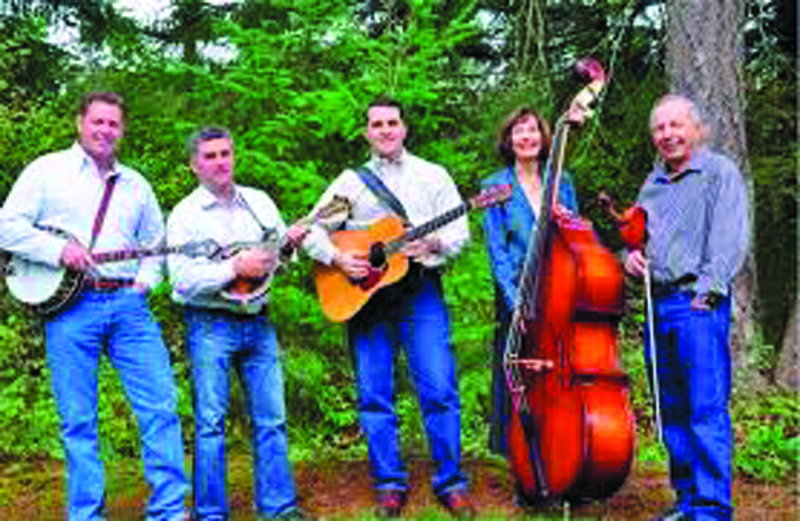 TOLEDO - The Washington Bluegrass Association kicks off their second season of concerts at the Veterans Memorial Museum in Chehalis Saturday when they welcome GrapeVine, featuring six-time national fiddling champion John Melnichuk, to the Vet. Photo by Lindsay Giberson - This year\'s Veterans Day Parade was the largest since its beginning. On Saturday, Toledo and their surrounding neighbors gathered to honor America's veterans, near, far, young and old. Augustus Street in Toledo was lined to both the north and south with residents and veterans alike to cheer on the entries and participating veterans as they drove through the parade route. The Lewis County Annual Veterans Day Parade was held Saturday, and many groups were on hand to show their support for our area's veterans. 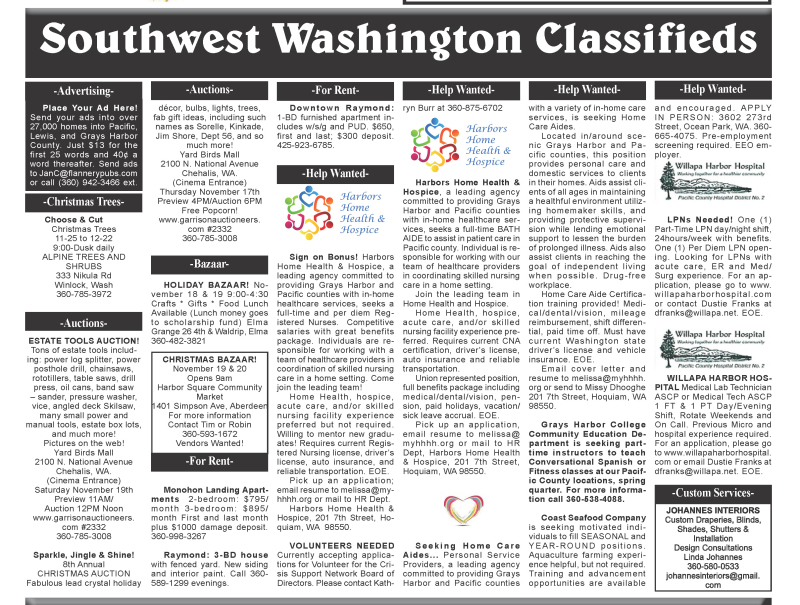 Science Night is coming to Winlock Elementary School on Nov. 20. 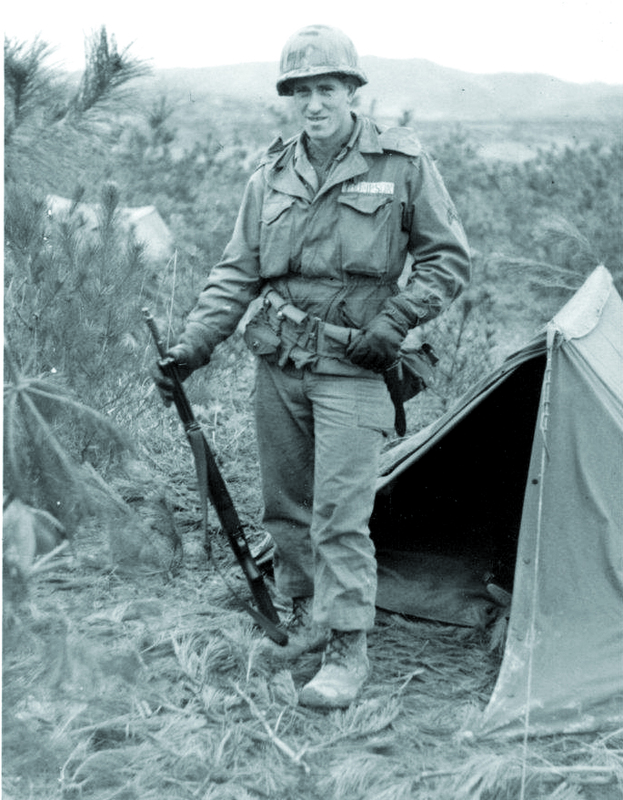 Photo provided by Tommy Thompson - U.S. Army Sergeant First Class Richard Thompson in Korea. 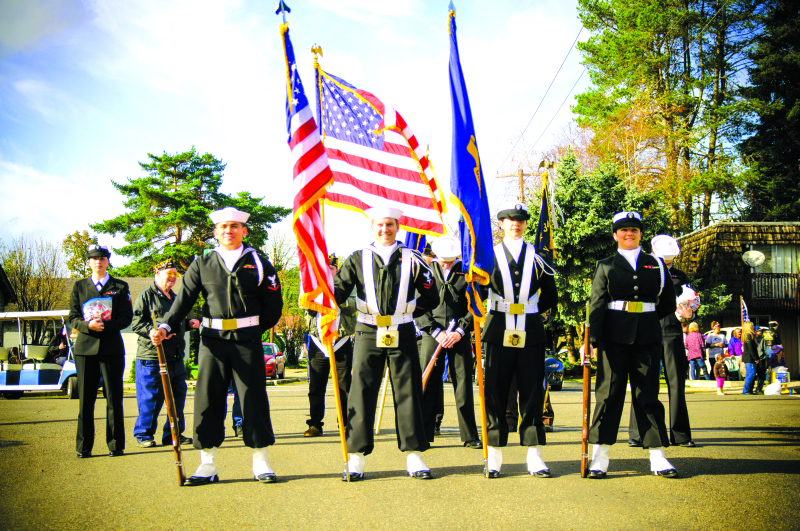 The Winlock Historical Museum is looking for help putting together a display which would honor local veterans. Between now and Egg Days, the Winlock Historical Museum would like to compile a list of Winlock people who have served, as well as photos and artifacts to display. The Pacific County Commissioners talk with members of the public following the Nov. 8 hearing. The Pacific County Commissioners voted unanimously at a continuation of a public hearing on Nov. 8 to take no action on a proposal to vacate a portion of the Upper Naselle Road that remains blocked due to a slide event, posing issues of access, inconvenience, and safety for affected homeowners. The Washington Department of Fish and Wildlife (WDFW) has canceled five days (Nov. 12-16) from a razor clam dig that was tentatively planned at Twin Harbors and Long Beach, due to elevated marine toxin levels. Pictures and other reminders of community icon Larry Sinclair were displayed on Saturday. Following funeral services, a large crowd gathered at the Raymond Elks Club on Saturday, Nov. 12, where they celebrated and shared memories of the life of beloved area resident Larry Sinclair. What about the baseball field? The South Bend City Council met for their regular bi-monthly meeting on Monday, Nov. 14. The first item the council attended to was a cooperative development and use agreement between the South Bend School District and the City of South Bend, which the council voted on and approved.